1. Deep fry the goujons until golden and cooked through. 2. Combine the zest and juice of 1 lemon with the capers, parsley and mayonnise, mix thoroughly. 4. 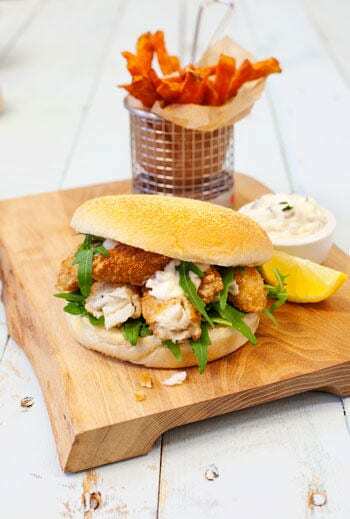 Place the goujons onto the bottom of the bun. top of the toasted bun. 6.Serve with salad or fries.